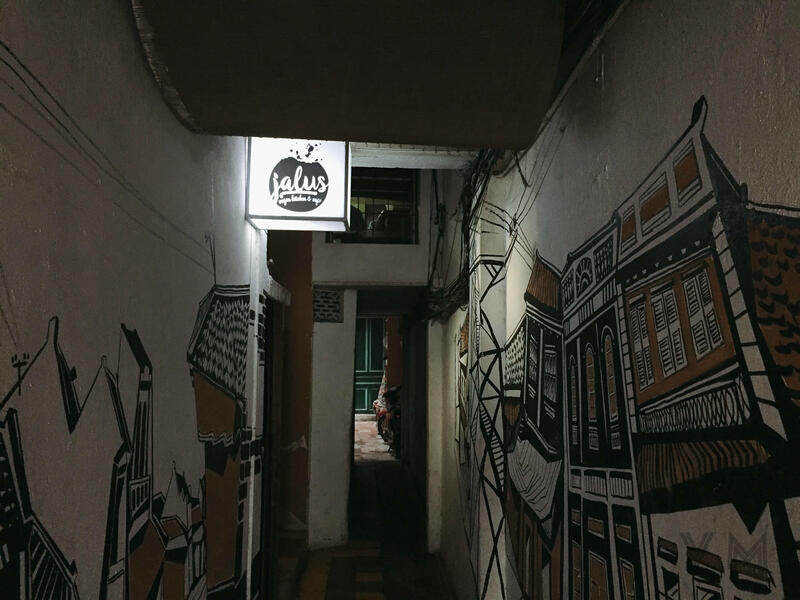 Jalus Vegan Kitchen & Cafe is a curious little vegan restaurant in Hanoi, Vietnam. 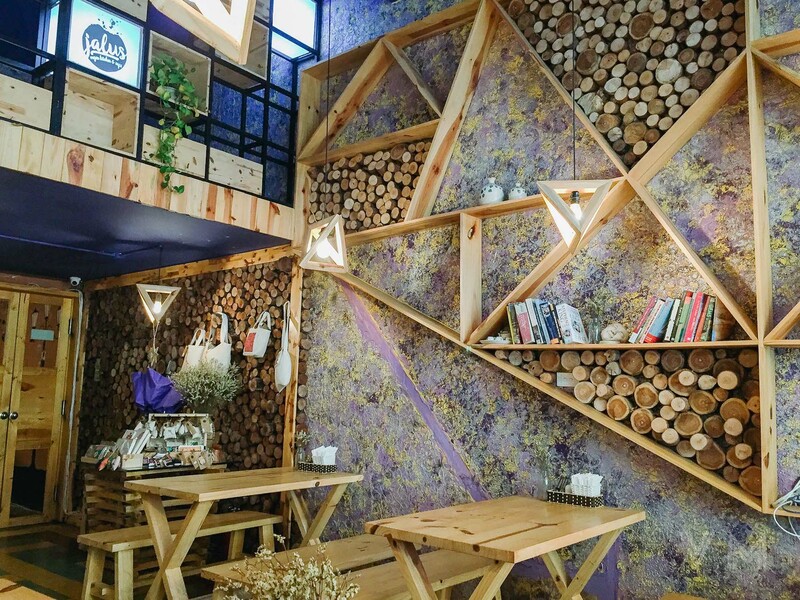 Located in the Hanoi Old Quarter on the second floor of a building with a narrow entrance; their menu typically consists of raw foods, western dishes, smoothies and fashionable desserts (avocado chocolate mousse, raw balls) we normally wouldn’t get too excited about. But as luck would have it, we were visiting Vietnam over National Day – the celebration of Vietnam’s independence from France, marked on September 2nd each year. 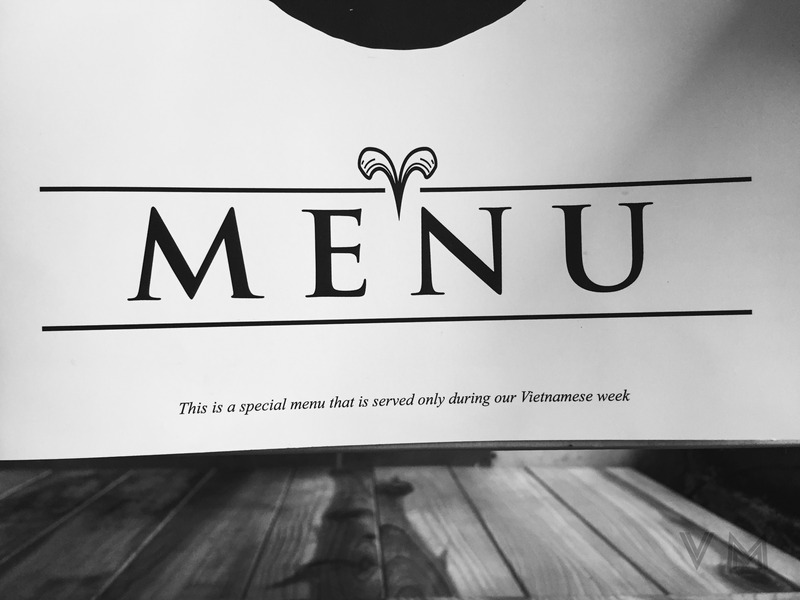 And for this celebration Jalus Vegan Kitchen & Cafe had a special National Day Vietnamese menu featuring robustly flavorsome local dishes for an entire week. We loved the local cuisine they whipped up for their national celebration and wish they included some of these dishes on their regular menu. 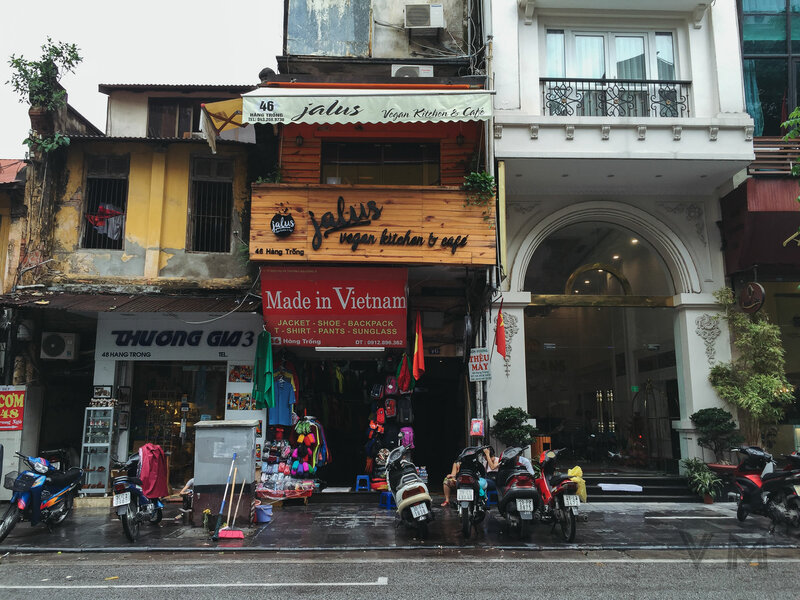 Have you been to Hanoi and tried Jalus Vegan Kitchen & Cafe? What do you prefer when you travel, local fare or familiar flavors from home? 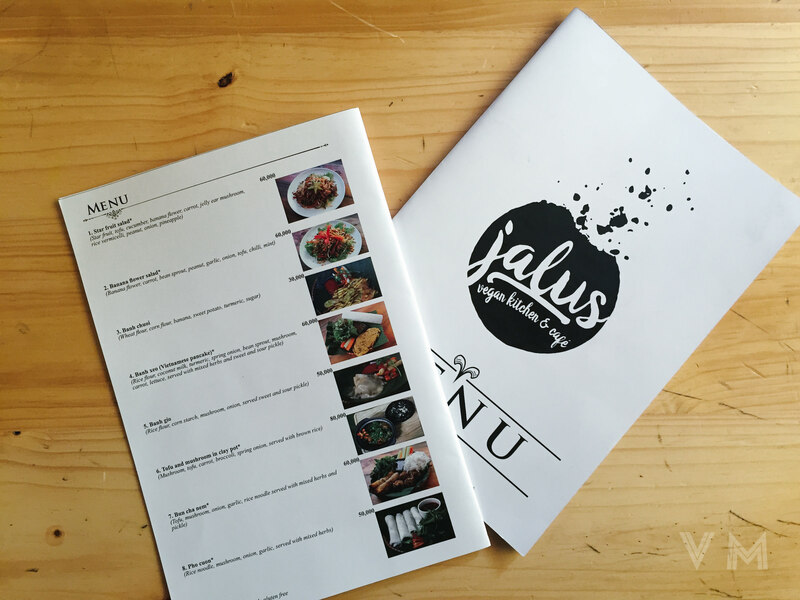 Six dishes and one drink at Jalus Vegan Kitchen & Cafe cost us VND400,000 (about US$18). Mango, passion fruit and cashew milk. Fruity and creamy, yet not especially heavy or sweet. Very little flavor of cashew, which we liked, with the tropical fruits being the more prominent flavor. Served with a fun little bamboo straw. 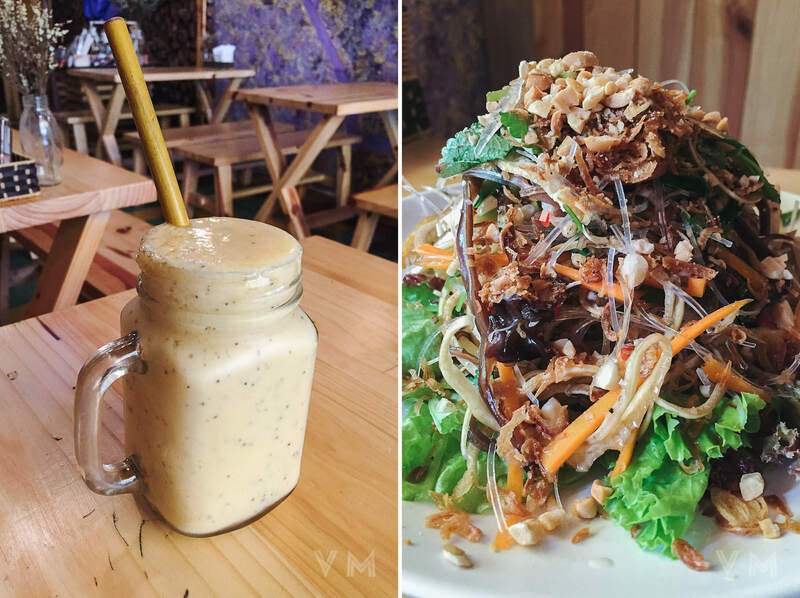 A cold refreshing salad with a bounty of fresh produce including thinly sliced starfruit and banana blossom. 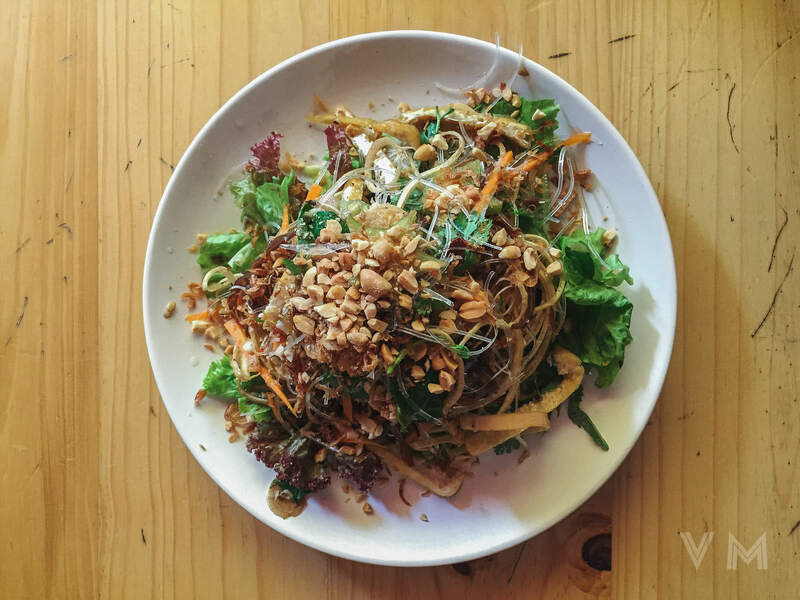 Served with a mildly tart dressing, fried tofu, fried shallot, lettuce, peanuts and chilled mung bean noodles. A light, satisfying start to our meal and a dish filled with flavor and texture. Our favorite dish from this meal and a slightly unexpected one. 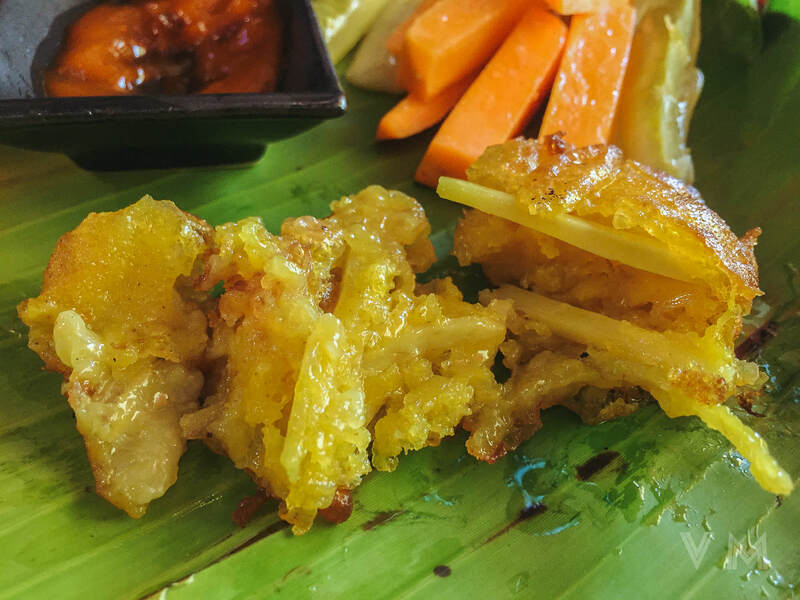 These fritters were made up of battered and fried sweet banana, sweet potato matchsticks and turmeric. Each fritter was absolutely massive, about the size of a hand, and the dish was a generous portion for two people to share. 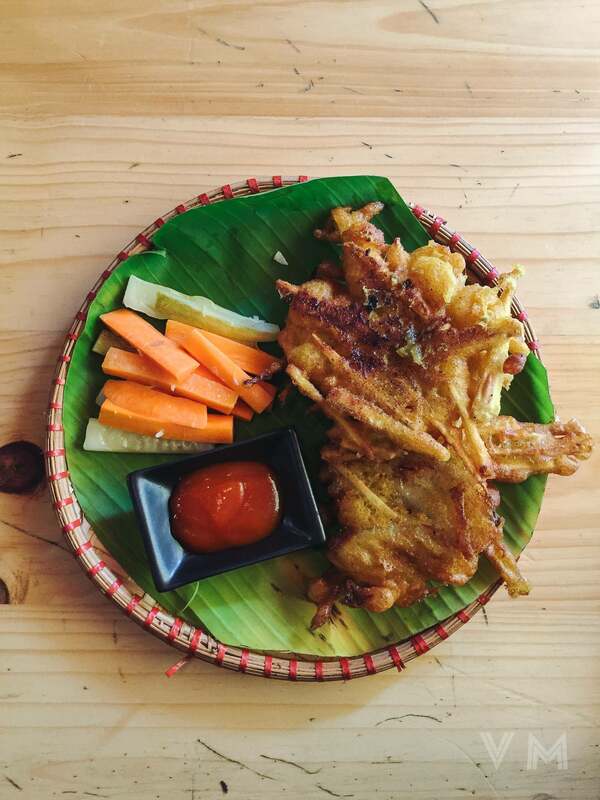 Served with a spicy chili sauce that balanced the natural sweetness of the fritters. Better than the bánh xèo from Loving Hut in Hanoi, this thin rice flour, coconut milk and tumeric pancake had loads of flavor. Their garlicky vegan nuoc cham served on the side was to die for, with a really nice funk to it. 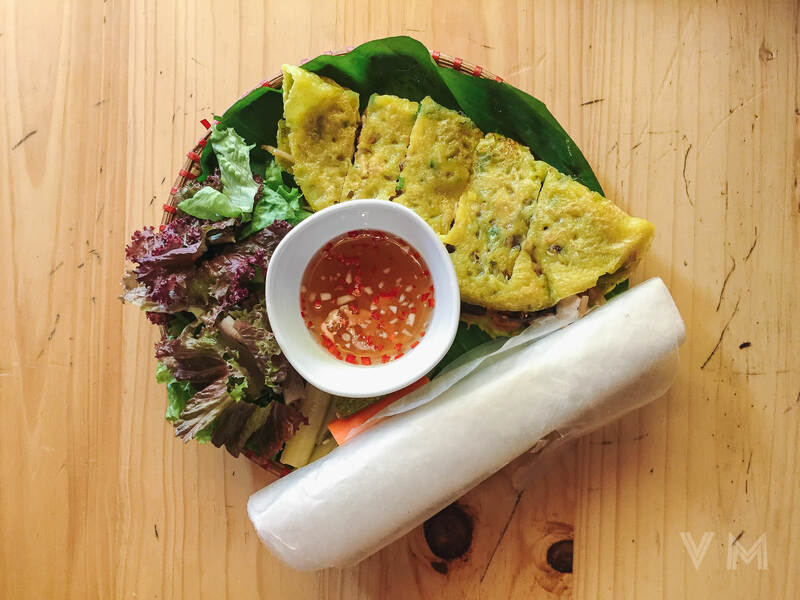 Served with herbs, lettuce and a generous amount of rice paper – they were huge! A classic Vietnamese dish and one of our favorites from the meal. 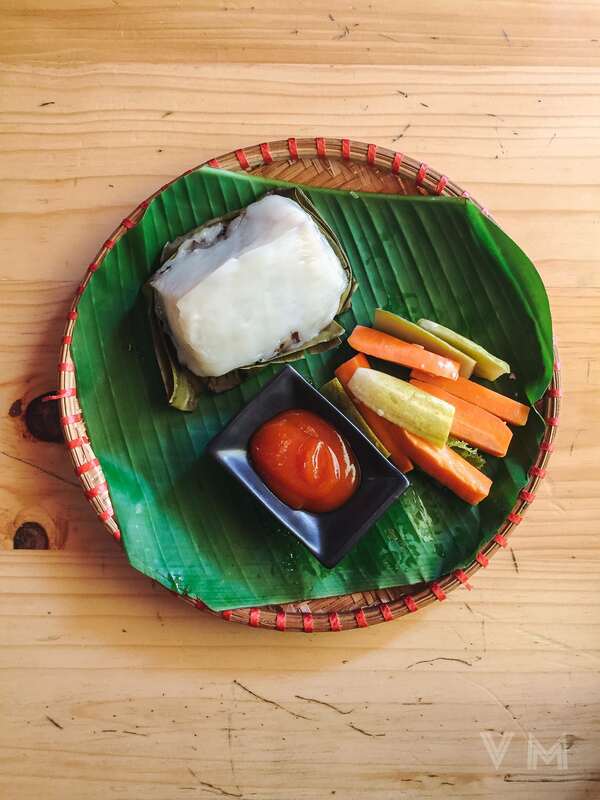 The bánh giò is a glutinous rice flour dumpling wrapped in a banana leaf and steamed. 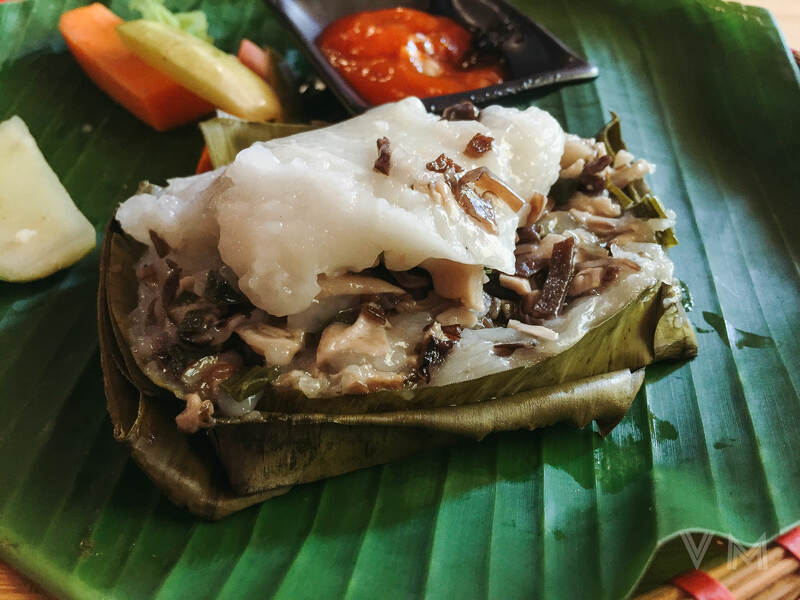 The pyramid shape sometimes resembles glutinous rice dumplings (Zongzi) but the texture is different since the bánh giò is made from the flour and not the whole rice grain. The delicious soft, gooey texture was similar to glutinous rice flour snacks we’ve had in Taiwan. On the bottom was a mixture of onions and a variety of mushrooms. The chili sauce complemented the dish well but the pickles had an unpleasant and overwhelming alcohol flavor. 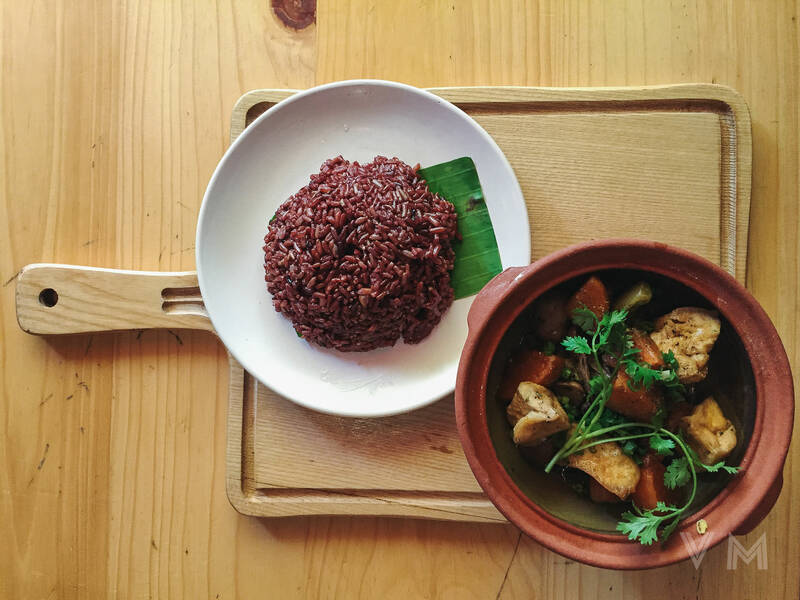 Mushrooms, carrots and tofu served in a claypot with a fairly reserved soy braise and a hearty red cargo rice. This was the smallest and most expensive dish from the special menu but the choice of rice made it heavier than it appears. It lacked the robust flavors that the other dishes had but this Tofu Mushroom Claypot was a welcome change of direction for a bit of variety. This cold noodle bowl featured some fried rolls, vegan meatballs, lettuce, herbs and a rather intense nuoc cham. The garlic in their nuoc cham gave a real bite while their vegan fish sauce was seriously salty and pungent. A convenient takeaway dish that we enjoyed later in the day but that garlic in the nuoc cham really sticks with you!